The Investment Team’s proprietary investment research is the underpinning and core foundation of every aspect of the client’s investment management experience. It is what sets us apart. 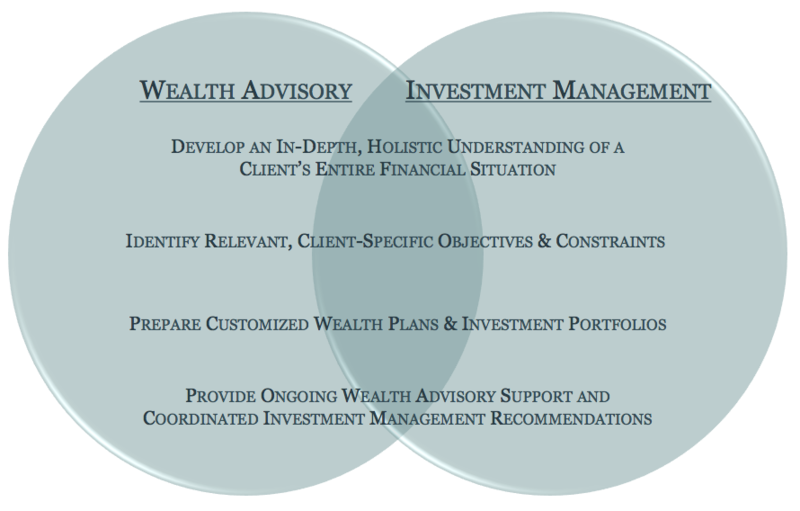 To be sure we understand your investment management needs, we have developed a thorough process. With focus on proper asset allocation and investment diversity to reduce risk, portfolios balance goals and the risk to achieve them. You can expect to gain invaluable insight and clarity as we move through the process at the initial stages of our relationship and on an on-going basis. Our approach is holistic and our diverse team of experts addresses every need and coordinates with partners and advisors as needed to ensure you are getting a comprehensive solution.